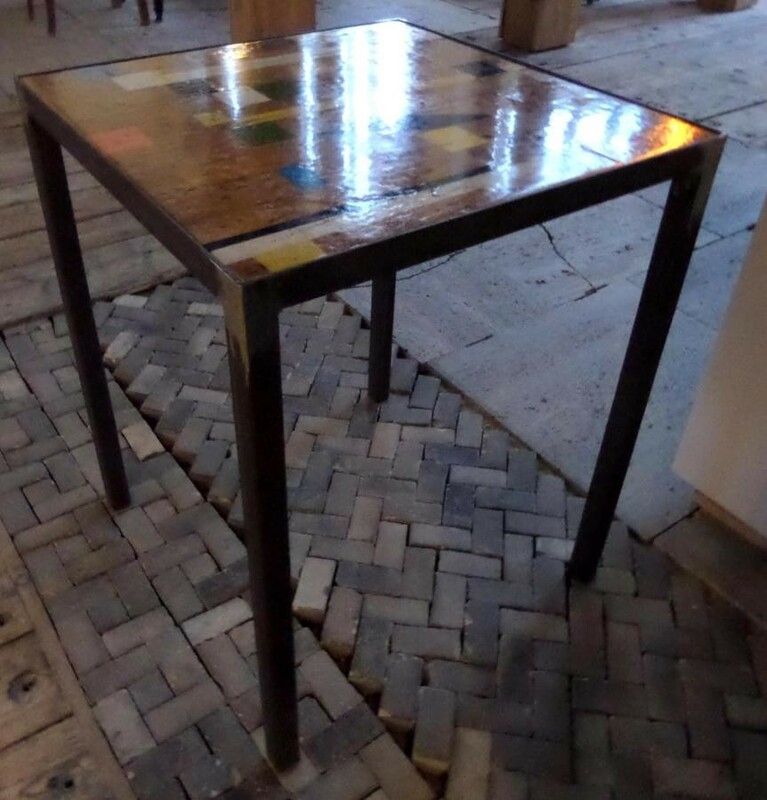 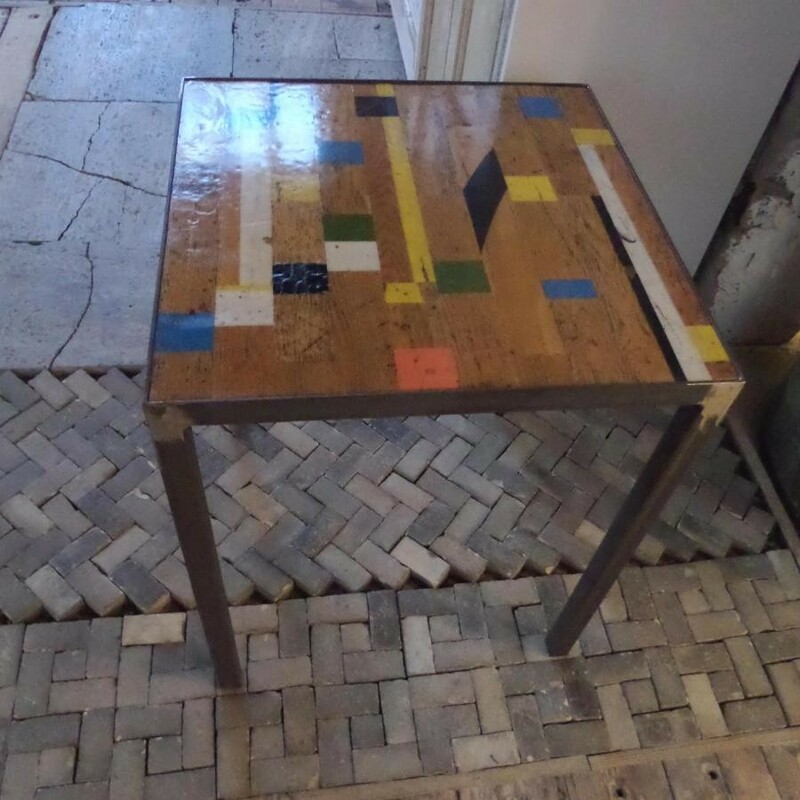 The table top is made from an old gym floor. 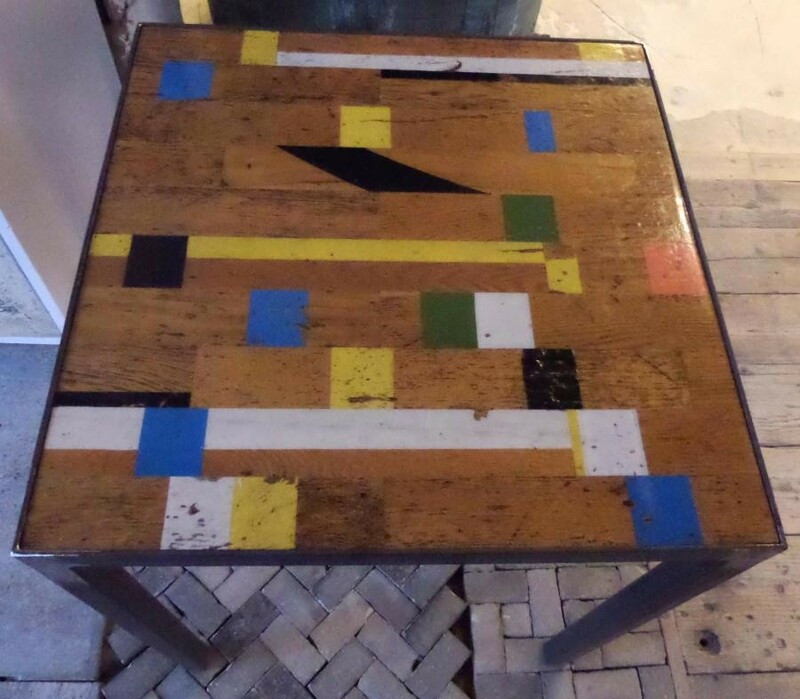 The surface was then treated with spar varnish. 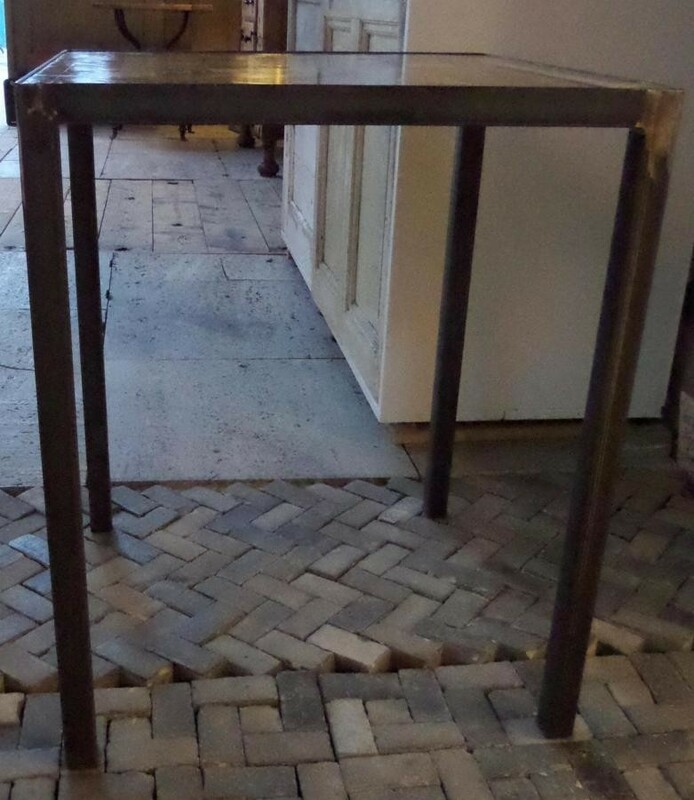 The iron frame was made at a locksmith. 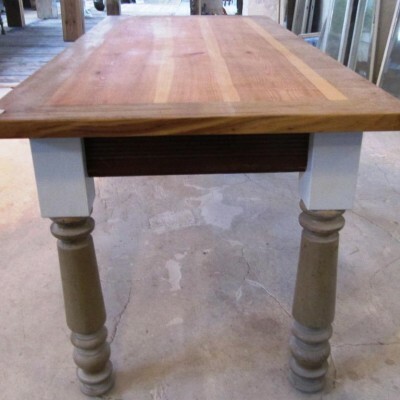 Our Designwoodteam is creating your dreamtable in any size !